I first came across the Draw Something game when two of my friends were sat in the pub not talking to anyone, staring at the phones, typing and doing what appeared to be drawing! Well, my interest was piqued and I had to see what they were up to, and they were challenging each other on Draw Something. 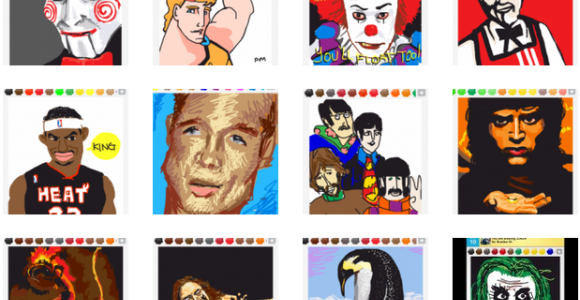 Draw Something is an app-based game where players guess the picture being drawn by their opponent. It is best described as an online version of the classic board game Pictionary, where mobile and tablet devices have replaced pens and paper. The success of the game is based on the fact that it can be played on a mobile phone or tablet and you can challenge friends (or people you don’t know) who aren’t in the same room as you! Or in the case of many, you can challenge friends sat in the same room or even sat on the same sofa as you! The popularity of Draw Something sky rocketed after its launch. The app was downloaded 350 million times in seven weeks and the game has players across the globe! This rise in popularity saw Zynga agree a takeover worth $200million with the original developers, OMGPOP. I have seen a report in Forbes however that the number of users have dropped since the takeover, highlighted the risk in such takeovers although there are probably a number of people at OMGPOP who are not complaining! Draw Something has a free version of the App as well as a paid option and can be downloaded from the Apple App Store or the Google Play Store. If you have a look online you can see some amazing images that people have created for the game, a quick Google Image search for “best Draw Something images” will show you the quality that some individuals can come up with for this simple game – it gets pretty competitive! If you want to take your drawing skills to the next level then you might want to consider trading in your finger for a stylus pen! There are a range of iPad and iPhone stylus pens by brands such as Kensington, Adonit and Targus so it is worth looking into stylus pens! They’re not just great for Draw Something and can be used for note taking. I should add a warning that this brilliantly simple game is highly addictive and although there has been a drop in users I don’t see this game as being a fad! It’s simple, not too time consuming and great entertainment. Once you start drawing and get a taste of victory it’s hard to stop – Great job Draw Something.